Properties in Morières-lès-Avignon average 4.7 out of 5 stars. 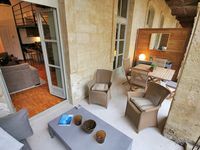 APARTMENT FOR FESTIVAL NEAR AVIGNON, A CORNER OF PARADISE! 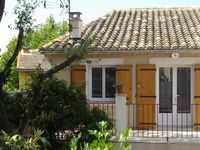 Property 38: APARTMENT FOR FESTIVAL NEAR AVIGNON, A CORNER OF PARADISE! My Husband and I stayed here for 9 days and thoroughly enjoyed the space. It is a perfect location close to Le Halles and some very fine restaurants. The patio/terrace space was perfect for our morning coffee and afternoon wine and cheese. The amenities made us feel perfectly at home. It was clean, well appointed and we could not have asked for a more perfect stay, except we could not stay longer. Emmanuel was a wonderful host and we will certainly stay again if our travels bring us back to Avignon.